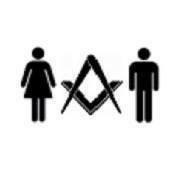 In 2013 I seriously started to look as mixed gender Freemasonry. It proved to be quite a quest to get my head around the subject! To start with, there proved to be more mixed gender organisations than Le Droit Humain. Second, Le Droit Humain is not (entirely) an atheistic organisation. After my initiation I started to look around further to see in ‘what sort of world’ I landed in. I searched around the web for histories, tried to find books and tried to find other members of mixed gender organisations. 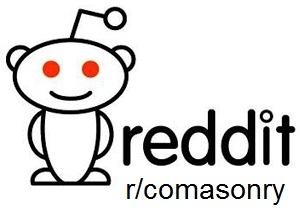 What was very obvious, is that by and far the largest part of the information about Freemasonry on- and offline is about “regular” Freemasonry or at least male-only. Information about mixed gender and women’s organisations is scattered and fragmentary. So after a while I decided to put the information that I gathered together on a website that may help members and prospective members alike. Early 2018 a downside of using a free service surfaced. WordPress started to experiment with advertisements totally ruining the lay-out of the website and without me being able to do anything about it. The advertisements could be gone for $ 4,- per month. I figured that for only a fraction of that amount, I could have a self-hosted (and hence: less social) website and so I moved away from WordPress.com. The URL pretty much gives away my home country. Indeed, I am Dutch, but that is all you need to know. I want this website to be as objective as possible and without having to take heed of sensitivities between organisations and people. So this website is anonymous the effort of a single person. I hope you will have found the information you were looking for and please to spread the word.